Dear reader, this has been a long time coming, but it has been a very busy week! I almost managed not to see this Enfance due to my stupidity at copying the wrong details in my cloud residing diary. So instead of the front row of the Queen Elizabeth Hall I daytripped down to Brighton for the third and last performance by this distinguished ensemble. 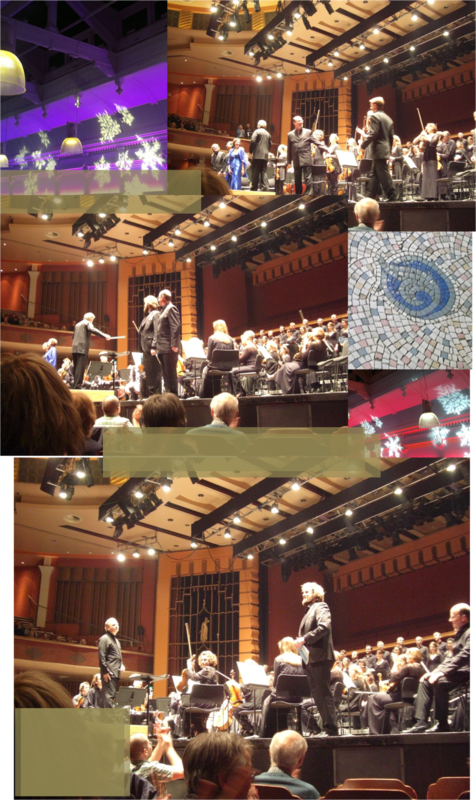 The singers were hand picked and Mark Elder has a unique gift and insight with Berlioz, I was expecting to be impressed but what I experienced was nearing to a cheesy holy conversion. No denying the fact this was one of the most glorious evenings of live music making of 2011. Having Alan Clayton as the narrator was a brilliant move. He has such an extraordinary instrument (that truly shone in the recent Castor & Pollux at English National Opera) a beautiful sweet middle tone with a ringing Italian sounding bright top. A wonderful combination that elevates what he sings into another level. His narration was full of empathy and wonderfully subtle French, with true chemistry with the orchestra and the exemplary direction by Mark Elder. Neal Davis, offered an impassioned Herod in the first half and a much more dramatically attuned Ishmaelite in the second. He surely had the power and expressive detailing right, but somehow his instrument does not possess the required darkness to add a more sinister tone to Herod’s outpouring of despair and resolve to order the death of the newborn Jesus. In Scene 4: Chaque nuit, Le même songe m’épouvante/Every night,The same dream terrifies me; where he retells his dream was beautifully realised but lacked the edge a darker timbre could bring. He is a wonderful singer but I can’t stop thinking he was miscast as Herod, his Ishmaelite was full of empathy and kindness. Sarah Connolly was frankly a luxury in the small part of the Virgin Mary. She was excellent, as usual, giving a very simple but heartfelt portrayal and surely making a beautiful partner to Roderick Williams’ warm and softly sang Joseph. 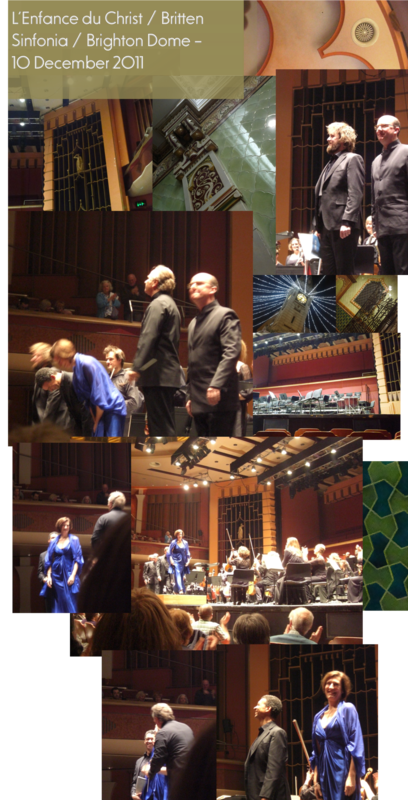 Britten Sinfonia produced a very even, forward sound, with a rich tone, very appropriate to the piece. 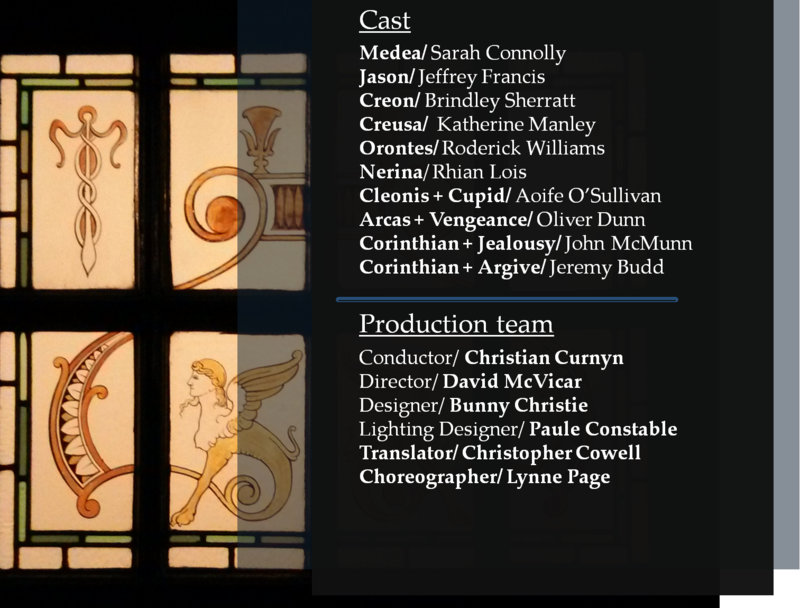 When it had to sound more saccharine in the end of part one for the Virgin Mary’s first appearance : Ô mon cher fils/O my dear son, they lived up to it, creating a velvety carpet for the sweet delivery by Sarah Connolly and the first duet with Roderick Williams. That was the first chance to hear the choir of angels which was off stage, sounding weightless and all round pure. The recently founded Britten Sinfonia Voices first made a strong impression on the second intervention as the Soothsayers: La voix dit vrai, seigneur/The voice is right, Sire with their unwavering keeping up with Elder’s vivid tempo and alertness. The opening of the second half was where the most rich demonstration of how amazing this ensemble was, came through. The opening Overture was a delight, a rich oriental clarinet infused eastern fantasy. Elder shaping the music into a voluptuous romantic essay in orientalism. The confident delivery by the male choristers representing the shepherds was a great intro to the most turbulent section of the piece, Allan Clayton’s narration of the flight from Egypt was full of colour and dramatic tension. Especially when he was quoting the Virgin Mary in the desert, against a rich carpet of violins underlying every word, he reached for his ringing upper register and then plunged to his chest voice for the finale, at that dramatic point a fly flew itself straight into the face of our tenor, which lightened ever so slightly the scene 😉 With the fly attack successfully averted the choir of angels exalted hallelujah! With the fly still buzzing in the air, Clayton continued into part three, The arrival at Saïs. Where with great tenderness he described the hardships of the Holy Family in the desert and their arrival in Saïs. His tone was wonderfully soft and the emphasis on every word brought the story to life. The concluding: Pleine de gens cruels, au visage hautain. Oyez combien dura la navrante agonie Des pélerins cherchant un asile et du pain! / Full of cruel, haughty-looking people.Hear how the distressing agony was to continue. For these pilgrims seeking shelter and bread! was possibly some of the most accomplished singing I’ve heard all year. The upcoming section by Connolly was equally dreamy, almost a mirage of a Virgin Mary at the edge of death. A desperate plea for Joseph to knock on a door was more dramatic than the text would suggest. Williams gave an impassioned good boy impression of Joseph that made the aggressive chorus sound even more hostile. The interwoven texture of the music with the two suffering characters and a forceful chorus, reminded me of a lot of French baroque opera with a begging scene where the hero and heroine ask for mercy. 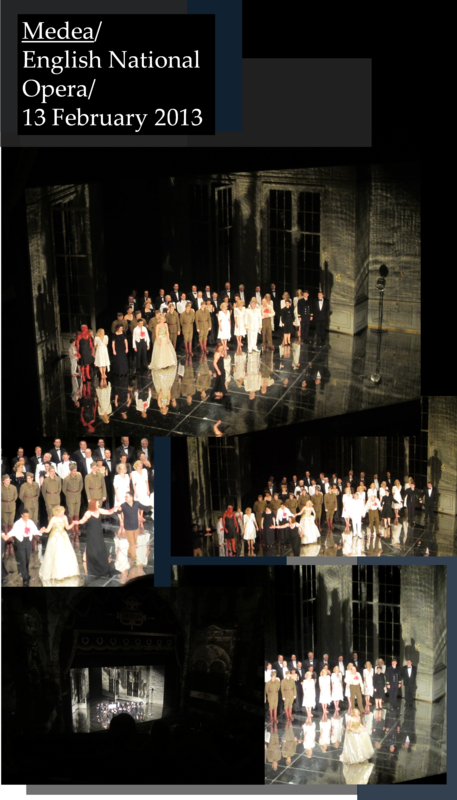 Here the balance between orchestra chorus and soloists was perfect, it was alive, dynamically propelled but unified. A great moment of the evening where the luxury casting bore unexpected fruit. The next section was a triumph for Davies, who found a resonant bass sound for the Ishmaelite father showing compassion and understanding for the plight of the Holy Family. The culmination came with a brief trio, where Connolly gave a perfect example of a more introverted, classy dramatic power befitting the character. Plus d’alarmes/And my worries was sang out with conviction and true relief, a finale that is dramatic and a wonderful conclusion to the story. The trio for two flutes and harp made Elder move to stage left to conduct at arms length the soloists, with a delicacy and luscious sound that brought to mind early music. Another great idea by Berlioz that was brought to life in the most captivating fashion. This part of L’Enfance is possibly where the dramatic arc can seriously sag but not under the baton of Sir Mark, this was truly lovely and got a very loud applause by the audience. The Epilogue with its long string intro reminding me oddly of boats gliding in the night to port, created the perfect opening for an imposing closing section. Clayton clearly relishing every minute of it, singing in a light and reflective timbre, laced with soft vibrato. Even Neal Davies was enjoying the concluding moments, listening with his eyes shut, who can really blame him! The verve of the conducting and the attention to detail introduced once more the choir with breathtaking results, I can vouch at feeling my heart racing through the last ten minutes, reaching the culmination of such an extraordinary ride was both cathartic and truly glorious. Berlioz’s genius shone through. Britten Sinfonia put its heart into the music and the soloists added the splendid final flourish to an unforgettable evening. For me possibly one of the best live performances this year. As the gentleman in the front row (that disrupted Sir Mark’s long pause after the finale) with his enthusiastic applause and jump from his seat, felt too!